Students rehearse a scene in "Be Our Guest, a musical review at O'Maley Middle School. 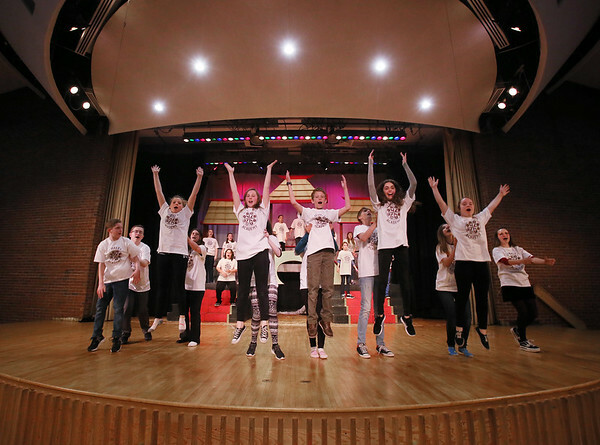 The event, featuring dinner and music from various Broadway plays, will benefit all 18 clubs -- including the Drama Club -- in the O'Maley Academy after-school program. It will be held Thursday, May 4 at 6 p.m. in the O'Maley cafeteria and auditorium. Admission will be $10 for adults and $5 for students and seniors, with a $20 maximum charge per family.